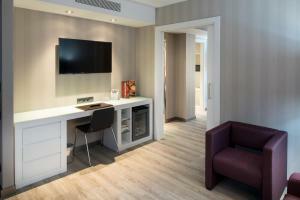 Catalonia Roma is 600 metres from Sants AVE Train and Metro Station. It offers free Wi-Fi, and you can reach Barcelona city centre in 10 minutes by Metro or bus. There are direct train links to Barcelona Airport from Sants Station and the Airport Bus also stops outside it. 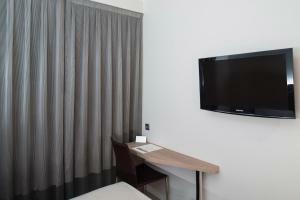 The modern, air-conditioned rooms have wooden floors, a mini fridge with complimentary water and satellite TV. 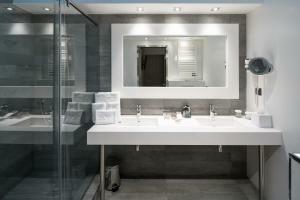 There is a safe and minibar, and a private bathroom with a hairdryer. A buffet breakfast is served at the hotel restaurant. Room service is available and there is also a bar. Plaza Espanya, Montjuic’s Magic Fountain and the Fira Conference Centre are all within 15 minutes’ walk of the hotel. The 24-hour front desk at Catalonia Roma boasts a large stained-glass skylight. You can rent a car and currency exchange is offered. 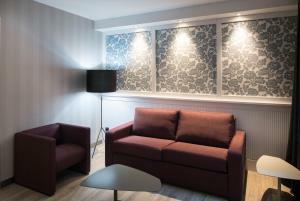 This modern, air-conditioned room has wooden floors, free Wi-Fi and satellite TV. There is a safe and minibar, and a private bathroom with a hairdryer. 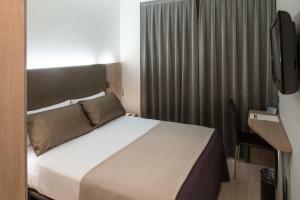 Rate: € 60.00 ... € 251.33; select dates below to get current rates. 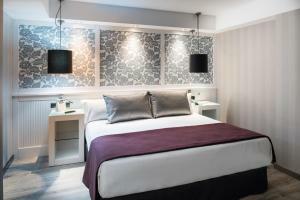 Rate: € 60.00 ... € 195.00; select dates below to get current rates. 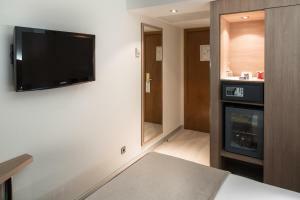 This air-conditioned and heated junior suite offers a separate seating area with a flat-screen satellite TV, desk and sofa bed. There is a trouser press and the bathroom has a shower, bathrobe and slippers, as well as scales, a hairdryer, towel heater and magnifying mirror.